Are you ready to rediscover your inner wild? Do you want to immerse yourself in the wonder and wisdom of nature while learning earth based skills? Do you want your kids to experience a wider sense of living close to nature? Join us for our Spring 2018 camp as we gather together to weave our very own village. Bring along your friends, kids, parents and grandparents to co-create a magical experience of connection, fun, traditional living skills and slowing down in a beautiful bush camp. Everyone! This is a family friendly, drug and alcohol free event, with the program open to all. A true village embraces all ages and faces, and we welcome diversity. You arrive with your tent and camping gear to a warm bush welcome. For five days we will explore the natural world around us, create fire without matches, make baskets and other earth crafts, play games, share stories around the campfire, laugh and sing, and take a much needed breath of fresh air. Each morning, kids, youth and adults will embark on their own adventures, each group exploring, playing in and learning from the natural world. While the kids (aged 4+) venture out into the bush with experienced nature connection mentors, the adults stay closer around camp to learn earth-based skills and practise nature observation and awareness. Younger children (up to 3 years old) will stay with their parents/carers, with an optional ‘roo and joey’ program for them to participate in too. Alternatively, the young kids can stay with their adults while they participate in the adult program. Around lunchtime, the kids will return from their adventures and rejoin their families for lunch and a free flowing afternoon. There will be time for village members to play with new friends, practice their new skills, share their talents or just chill out. Some might wish to head off for a wander or take some quiet time to rest and relax. Each family or person will bring their own breakfast, lunch and snacks. There will be some space for campfire cooking, but it would be a good idea to bring your own camp cooking equipment. Wholesome dinners* will be cooked on and shared around the campfire in the evenings, a space to share stories from our day full of adventures, sing songs and relax in the atmosphere of the tribe. After the evening program we will head to our swags for a restful sleep to prepare for a new day of fun and adventure! *We are able to cater for omnivorous, vegetarian/vegan, gluten free and dairy free dietary requirements if notified on booking. If this isn’t you, you will need to bring extra food to supplement. Each morning with the camp mentors, children (aged 4+) will venture into the bush to experience a free flowing exploration of the surrounding bush. The mentors will guide the children’s play in a safe way and enable each child to connect with the natural world around them. We aim to create a safe space in which the children can listen to their own creativity. 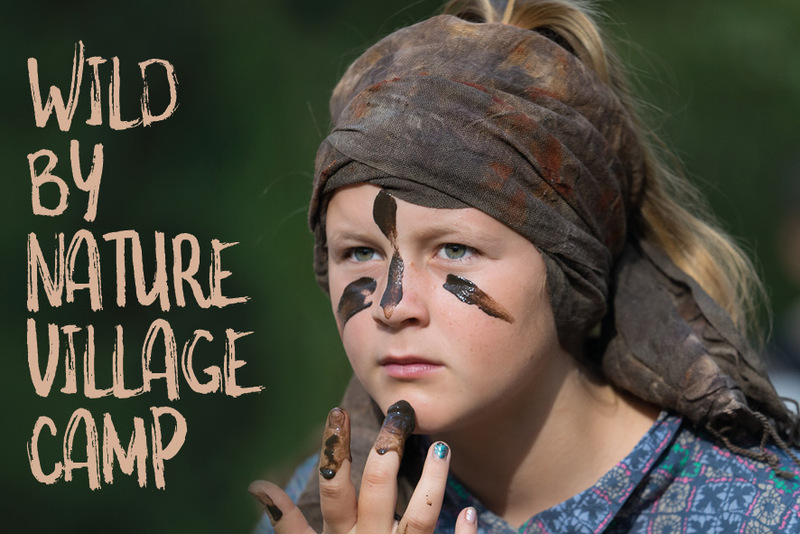 We will play games, immerse in story and song, wonder at the nature that surrounds us, find animal tracks, and learn wild skills such as fire, shelter and craft. Through this play and exploration, the kids will drop into a new awareness of the wild world around them, connecting more deeply with the plants, the earth, the animals, and with each other. While the kids adventure out into the wilds, the adults will be invited on their own journey of learning and discovery. We will explore earth-based skills and crafts such as fire-by-friction, string making, coal burnt spoon crafting and basket weaving. We will also explore the Core Routines of Nature Connection through skills of observation and awareness, bird language and natural movement. The archetypal ‘wild child’ will come alive through games, nature play and connective activities. There will also be time to share and listen in circle. Participation in all activities is optional - we encourage individuals to listen to their own needs and follow their own curiosities. We invite the village to come together under the principles of sovereignty, synergy and sacredness. Child friendly, drug and alcohol free environment. Pets need to stay at home. Wild by Nature village camp is to be located at Gilwell Scout Camp, Gembrook, about an hour east of Melbourne. On Monday September 44 arrival day, we will gather together in the afternoon and settle in. That night, we will share our first meal and prepare for Wednesday’s activities. Campers will arrive and set up between 1-3pm. We will gather together for a welcome around 4pm and share dinner at 6pm. From Tuesday through Thursday, our days will follow the schedule outlined above. Lunchtime Friday, it will be time to go our separate ways, each taking back with us our own wild nature and a beautiful memory of village connectedness. The scout camp provides toilets and hot showers. There are limited cooking facilities but villagers will need to bring their own camp cooking equipment. Cars will be parked nearby. Early bird ends August 10. Please contact Camp Coordinators Melissa Turnbull or Claire Dunn with any questions or enquiries. Tickets include: camping accommodation, dinners cooked by our village cook, skills sessions, mentoring and equipment.